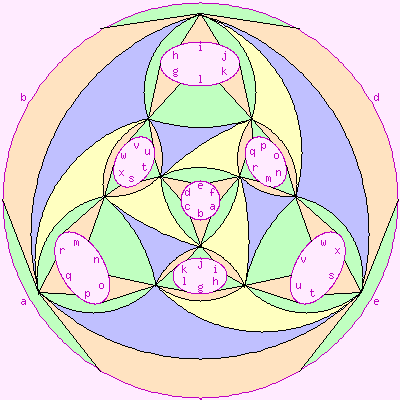 This non-regular map has 36 triangular faces, of which nine meet at each of its 12 vertices. It has 54 edges, and a Euler characteristic of -6. It is shown to the right. Its Petrie polygons do not all have the same number of edges. It is not half-edge transitive. Other regular maps on the genus-4 oriented surface. Index to other pages on regular maps.